Magnets are great. Whether you love the sheer brilliance of how they stick together, or you’ve always wanted to learn new and creative ways of using them in your daily life, I’ve found 25 ways that you can implement magnets into your next DIY project. There is definitely something in this collection for everyone. From decorating to keeping things in their place, these projects are amazing, and so very easy to do! By the way, be sure to check out my Ridiculously Fun DIY Backyard Games post, too! 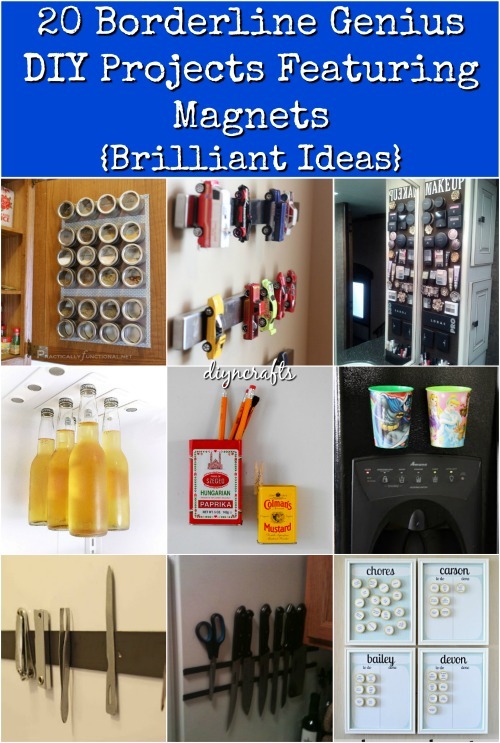 So, if you have a bit of time for a great new DIY project, and you’ve always wanted to do something great with magnets, this is the post for you. Pull up a chair, and few magnets, and let’s learn some new ways to put those magnets to good use. Some of these are borderline genius! This magnetic calendar is the perfect kitchen accessory. Not only does it look great, it also helps you keep your life a bit more organized, and we can all use a little more organization. You can add or erase appointments easily, and this is such a neat little project to do. Make it as unique as you want! If you’re like me, and most other people, you have the hardest time keeping scissors and other utensils in their place. This utensil holder is perfect for the things that you use most, and it helps you to keep everything organized and right where you need it. You just need some magnetic tape, and then you can create a strip for holding knives, scissors, and other metal utensils and make it as long or as short as you need it. 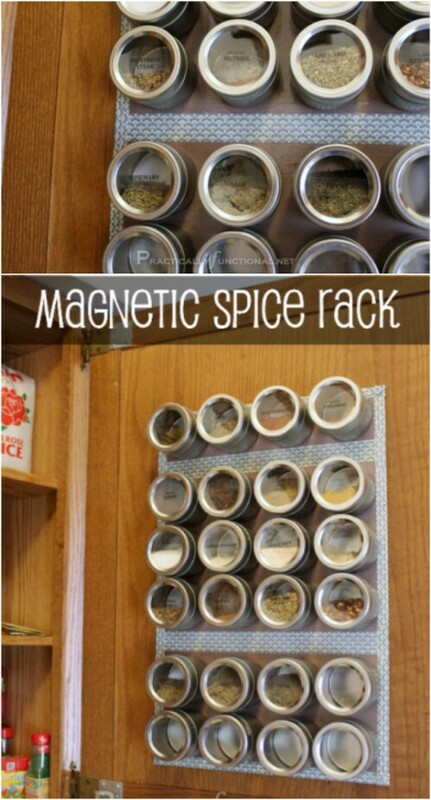 I love cooking with all sorts of spices, and this magnetic spice rack makes it so easy to keep those spices tidy and organized. Plus, it frees up counter space, which is great if you have little space to begin with. The clear lids let you see exactly what spices are where, so you can grab them easily, and this is really a neat looking rack. It’s perfect for organizing and adding a bit of décor to your kitchen. 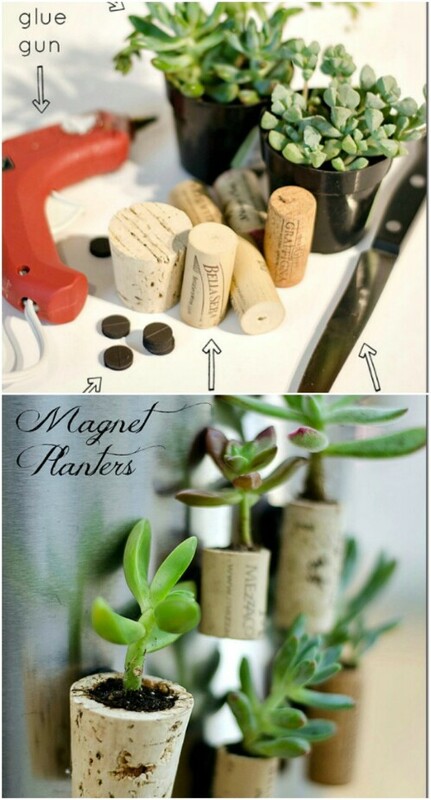 This little mini garden makes use of magnets as well as those old wine corks that you have lying around. If you don’t have any leftover corks, you can pick them up at any craft store for just a few cents each. They make great little planters and the magnets hold them perfectly on the side of the fridge or wherever you want to plant them. You can use this garden for succulents or have a little mini herb garden right there in the kitchen. 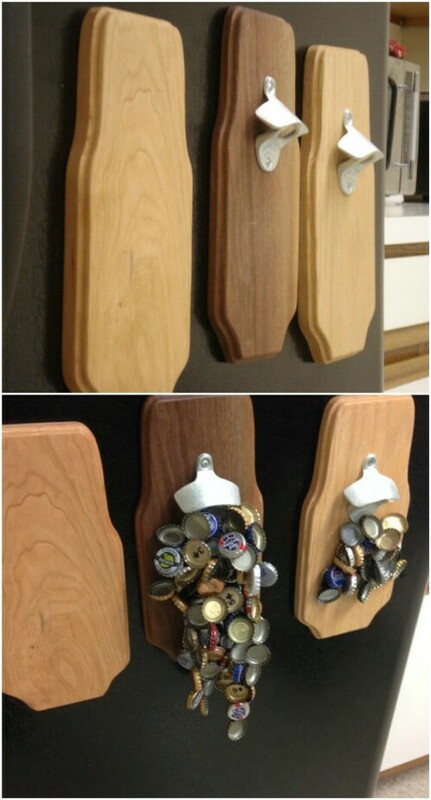 Any man cave is going to need this cool magnetic beer bottle top storage system and opener. Not only does it keep your opener within reach, it gives you a great place to store those caps instead of having them sitting around on tables and counters. This is one of the easiest projects in the collection, and one of the handiest, too. So, we’ve covered what to do with those bottle tops, now how about storing beer to begin with? 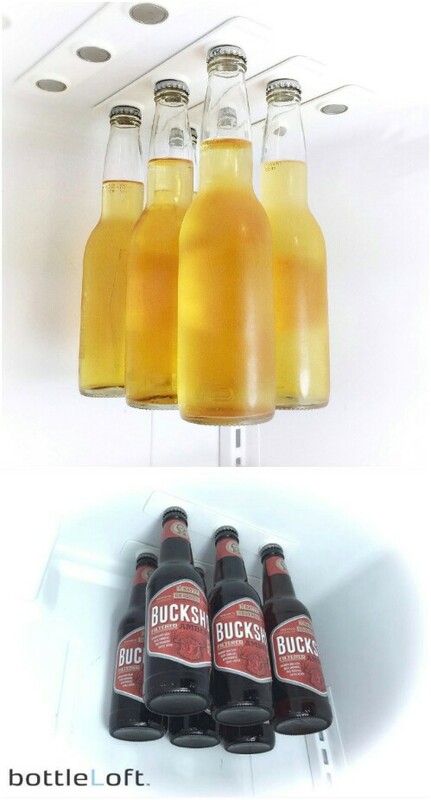 This beer storage is great and really helps you to save space in the fridge. You just have to adhere strong magnets to the top of the fridge and then the beer bottles will stick up there, freeing up space below. 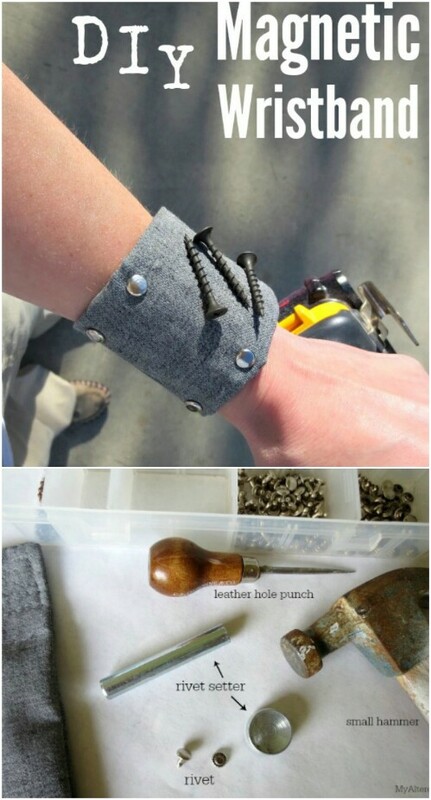 If you tend to like doing your own handyman (or handywoman) work, and you’re tired of small tools, nails, and screws getting lost, this DIY magnetic wristband is perfect. It keeps those smaller items right there where you need them. I think this would also be great for sewing needles and such, and it’s a really easy project that requires just a basic amount of sewing. Whether you homeschool or not, having a dry erase wall is a great way to teach kids and to keep them occupied, particularly on rainy or cold days when they can’t get outdoors. 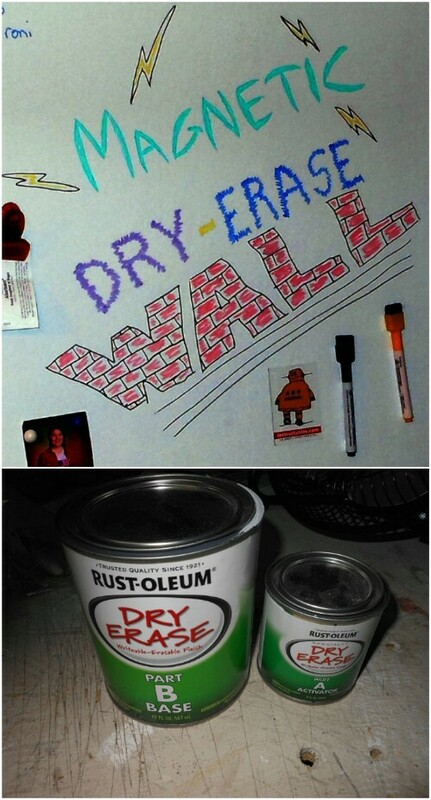 This DIY dry erase wall is great, and so very easy to create. You’ll need a few supplies, mostly things you probably already have on hand. 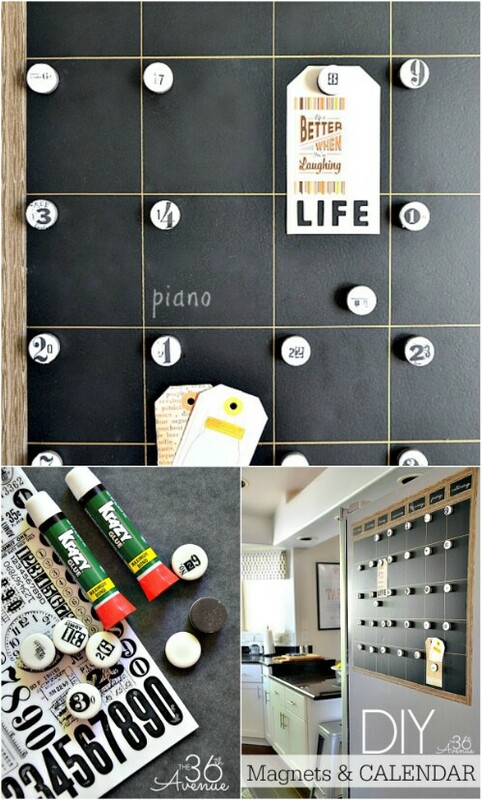 This is a great chalkboard alternative for homeschooling, and perfect for any child who likes to be creative. Kids love Legos and parents love it when they don’t get underfoot – literally. 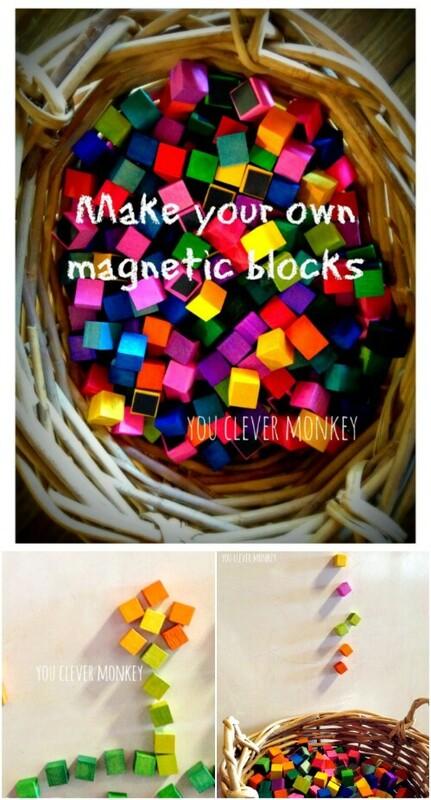 If you have a few small blocks around the house, and you want to turn them into something really fun for the kids, add small magnets. Kids will have hours of fun building and creating with these tiny magnetic blocks, and they’ll always be stuck to something other than your feet. 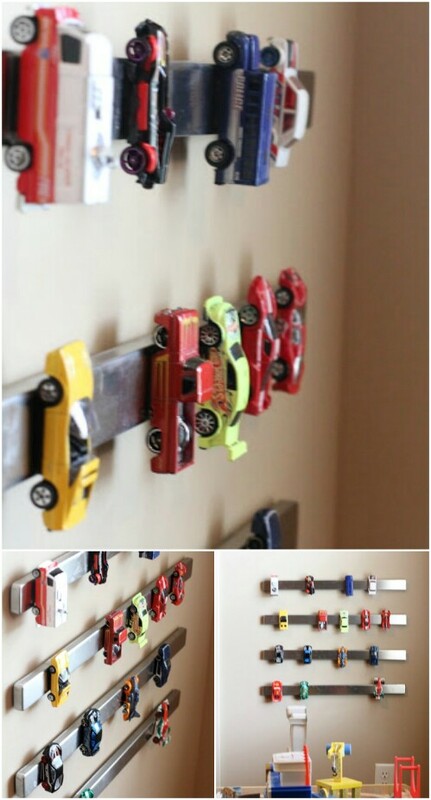 If your son has quite a few small cars, and you need to keep them off the floor and storage neatly, a magnetic strip is the perfect solution. You can put the strip on the back of his bedroom door, in the closet, or just anywhere you need it. It helps with room décor as well, and definitely gives you a storage solution for all those tiny little cars and trucks. Forget about pin cushions that make it easier for pins to push through and snare your fingers. 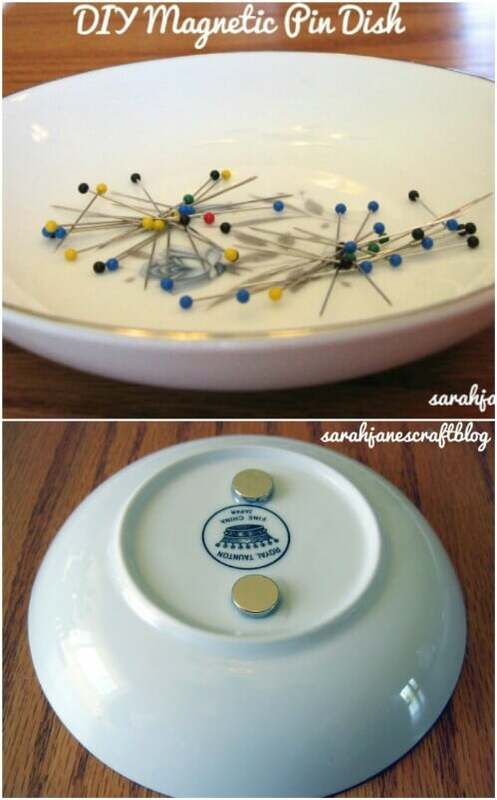 This pin plate is a dream for sewers and really keeps those pins and needles from falling onto the floor or getting lost. This is the easiest of all projects and just requires you to have a plate on hand that you can use for your pin catcher. If you don’t have something, you can pick up a plate for a dollar or less at flea markets or yard sales. This is the perfect idea for holding bobby pins. If your bathroom looks like bobby pin central, this strip of magnetic tape will keep those pins out of the way and best of all, right where they’re handy. 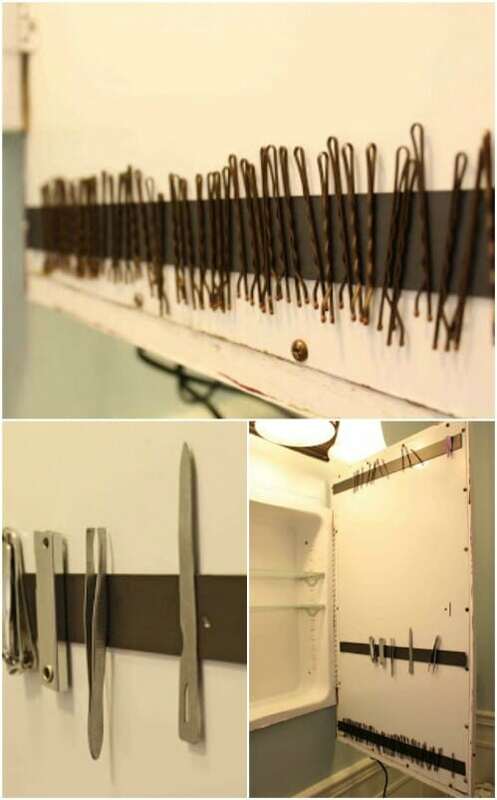 Just put a strip of the tape on the backside of your medicine cabinet door and you have the perfect storage solution for bobby pins or hair barrettes. This magnetic makeup board is perfect for keeping makeup organized and handy. If you have tons of makeup, this is a great way to keep your favorites right there where you need them. You just need a few magnets and a picture frame. 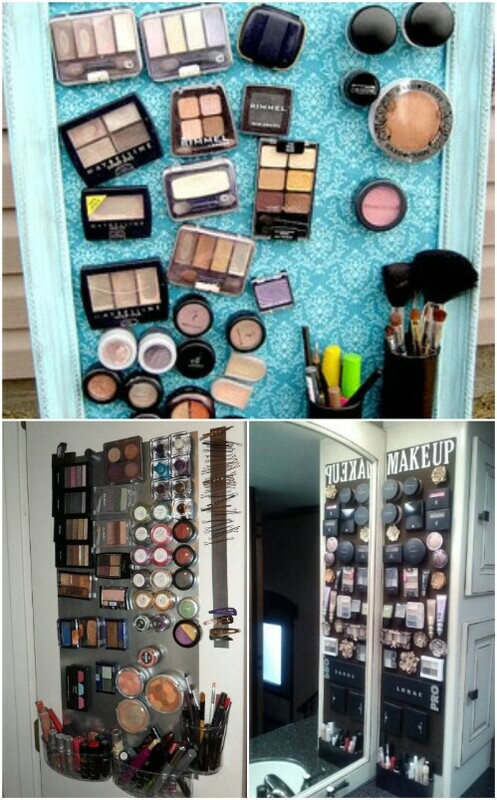 This is such a neat way to display and store makeup and you can customize the matting behind it to match your current bathroom décor. This jewelry organizer is really similar to the makeup one above, but you add your jewelry. Keep necklaces and bracelets off the dresser and keep them from getting lost or tangled. This is a great idea for little girls as well. You can keep all of your jewelry organized and make the organizer perfectly match your current bedroom décor. Keep chore lists perfectly organized by putting those magnets to use. You just have to make a list of what you want the kids to do and then use the magnets to display that list. Make a “to do” list on one side and a “done” list on the other. Kids can move their chore magnets over as they complete their chores. You can use magnets to create a great cleaning tool for the aquarium, for those times when you really don’t have time to take out all the fish and clean it thoroughly. This little tool, complete with a sponge tip, will remove all that dirt and algae from the sides of the aquarium, and leave it sparkling clean until the next time. If your kids tend to go through cup after cup after cup every day, this little trick will be a great project. 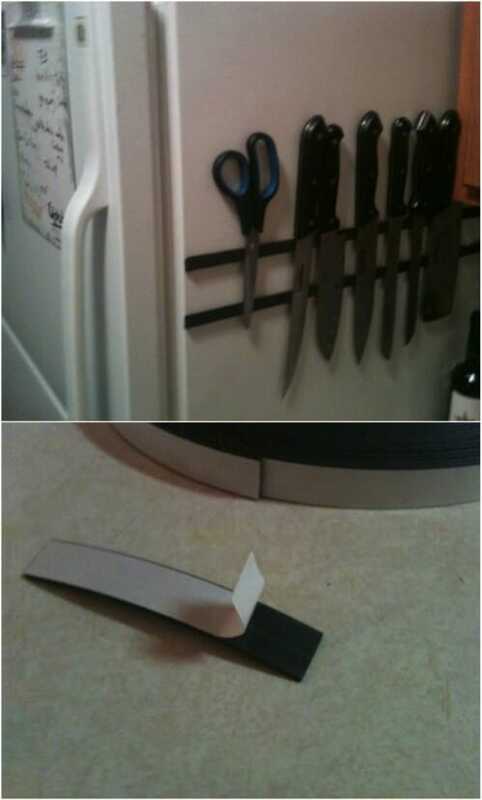 Just add magnets to the cups and then use them to stick to the side of the fridge. That will be the cup that they use that day and when they’re finished with their drink, they just rinse it out and stick it back for the next time. Forget washing all those dishes over and over. This trick will save your time and your sanity. You can make removable lamp shade decorations with a bit of fabric and a few small magnets. Just create flowers, or whatever you want, from the fabric and use magnets to secure them to your lampshades. You can change them out whenever you feel like redecorating, and just store them all in a basket in the closet. This is a great way to change up decorations for the various holidays. Okay, so maybe you don’t have room inside the fridge for storage, but you certainly have room on the outside. Take magnets and use them to keep your aluminum foil, plastic wrap, freezer bags, and other similar storage items on the side of the fridge. It will put them right where they are most handy and save you loads of room in your kitchen cabinets and drawers. Once the boxes are empty, just remove the magnets and put them in a new box. Okay, so I know I’m all about refrigerator storage with this post, but there really is a lot of potential in using the side of the fridge for storing things, particularly with magnets. Here’s another great idea. 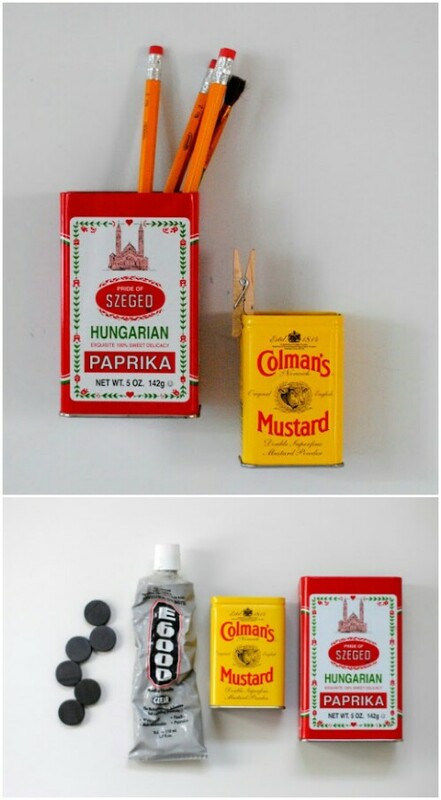 Take old tins, which you can buy at the flea market or yard sales, and stick them to the fridge with small magnets. Use them for holding pens, pencils, or anything else that you need to keep handy in the kitchen. Where do you get your magnets? Hey Vanessa, I do guy stuff (of course) Garage tools, closing the sun curtains on my pergola and cabinet door closures but I get all of my magnets From CMS Magnetics magnet4sale.com. I do not know all they carry but they have always had the smallest and all of the strongest magnets I’ve needed.